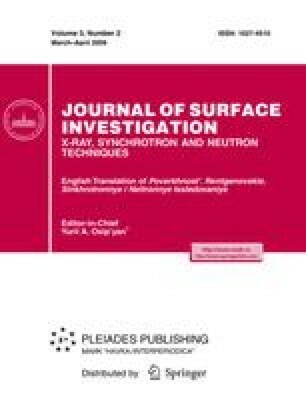 The paper presents the results of studying the combined shock-wave radiation-emission processes associated with cavitation phenomena that occur at fast directional motion of a liquid jet into a closed working chamber through narrow dielectric channels. These processes induce high-power tunable X-ray radiation outside the chamber. At a relatively small liquid pressure, cavitation has been shown to generate shock waves in the chamber walls, which excites surface atoms and leads to the emission of X-rays from the outer surface of the chamber. At a high liquid pressure, the liquid jet does not touch the chamber walls and the cavitational shock waves lead to the excitation of the surface atoms of the jet itself accompanied by the generation of optical and X-ray radiation in the jet, which has been also observed in experiments. Original Russian Text © A.A. Kornilova, V.I. Vysotskii, N.N. Sysoev, A.V. Desyatov, 2009, published in Poverkhnost’. Rentgenovskie, Sinkhrotronnye i Neitronnye Issledovaniya, No. 4, pp. 17–26.